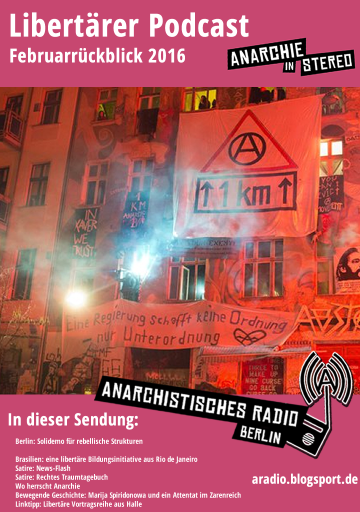 As Anarchist Radio Berlin we had the opportunity of talking to a member of the anarchosyndicalist union FAU in Berlin. 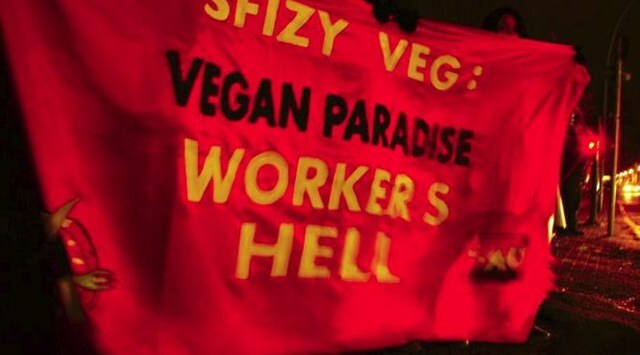 Until very recently he was involved in a worker’s struggle concerning the dismissal of two workers from a vegan Pizzeria and tells us about the background of the struggle, the methods they used and the succesful end of the campaign. Further topics are the situation of migrant workers in Berlin and the issue of self-organizing of those workers. Du browst gerade in den Anarchistisches Radio Berlin Weblog-Archiven nach dem Monat März 2016.